Search and rescue teams utilize dogs to assist in finding and rescuing lost individuals: a child that has wandered from the house, a missing person, those lost in wilderness areas or in transport disasters such as plane crashes. 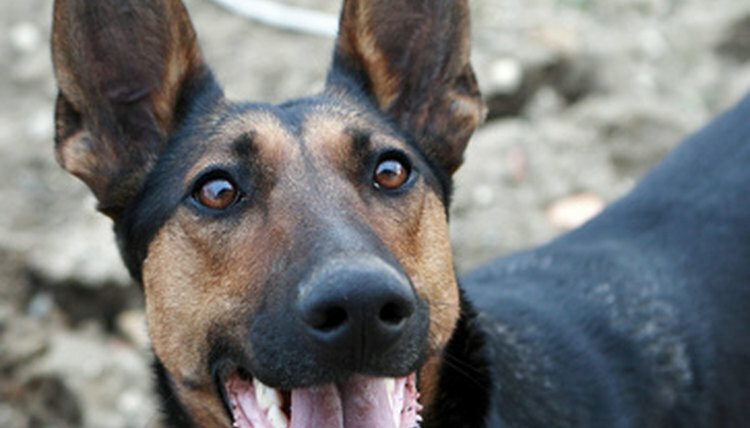 The use of canines in search and rescue is particularly important as dogs have an acute sense of smell and can pick up and follow a person’s scent. Search and rescue dogs can be of any breed, although the majority are from work or sporting breeds such as Doberman pinschers, golden retrievers, Labradors and German shepherds. Click on the NASAR website, in the Search and Rescue Dog Classifieds section (see References for direct link). Click on “Place an Ad,” located on the left-hand side of the page. Placing an advertisement on NASAR’s website to donate your puppy or adult dog connects you with individuals in NASAR’s trained handler community who are looking for dogs. Fill in the body of the classified, explaining the characteristics of your dog (breed, age, experience and personality) and why you would like to donate the dog to NASAR. Please note that NASAR only accepts dogs that have not been through their rigorous SAR training. NASAR will fully train your dog for search and rescue. Find and click on the state that you live in. Fill in your telephone number, preferably your cell number rather than your home number. Fill in your personal email address in the bottom space. Click on “Submit” to send in the classified advertisement. Wait for NASAR’s phone or email confirmation that your dog has been accepted into the NASAR program. Call your local civilian search and rescue team. In Massachusetts, for example, you can contact either the Central Massachusetts Search and Rescue Team or the Berkshire Mountain Search and Rescue Team (see Reference link “Massachusetts Office for Public Safety and Security” for contact details). Inquire with this team regarding donating a dog for training within the SAR function.